What’s the Best Garrett Metal Detector? Garrett is a very popular brand when it comes to metal detectors. 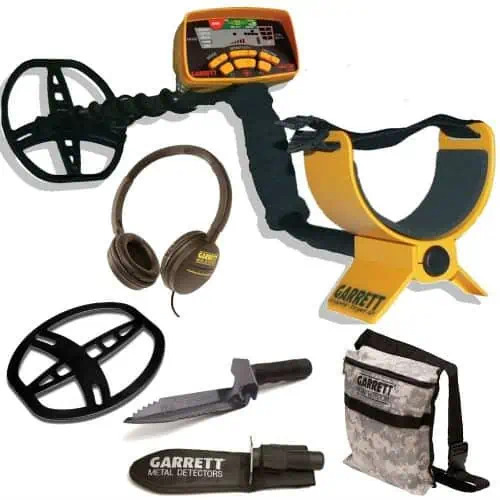 Some experienced hunters have even called Garrett the best brand of metal detector. This is because they design quality products, stand behind their detectors and their machines are reasonably priced. With that said, which detector made by Garrett would be best to purchase? What should be the determining factors for why you buy one over the other? 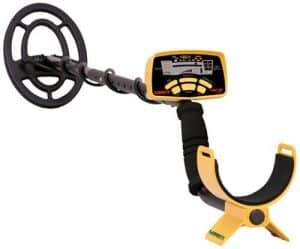 In this article, we’re going to examine that exact question, and help you determine which of the many different metal detectors made by Garrett are most ideal for your particular circumstance. The biggest complaint about the Garrett Ace 350 seems to be the bright yellow color. The $300 price tag is also a turn off for some people, but it shouldn’t be, because the 350 is a great machine (and a little black spray paint can take care of the color if you don’t like it). The detector has amazing iron discrimination and a higher operating frequency than many others in this price range. The Ace 350 also has new salt-water capabilities, so if you are planning to search near salt water, this is one you need to think about. Salt water reacts with the minerals in the ground and can cause metal detectors to chatter and not scan as they should. Beach hunters need a machine that can be adjusted so this doesn’t happen. The coil of the 350 is waterproof, so you can even search in a few inches of water. It is not submersible, though, so be careful how deep you use the machine. The Garrett Ace 350 has five search modes that include jewelry, custom, relics, zero, pinpoint, and coins. Everything operates with one touch soft button controls so it is very easy to learn how to use. The pinpoint feature allows you to find exactly where your object is instead of in an area of 8” or so. It is very lightweight and powerful. 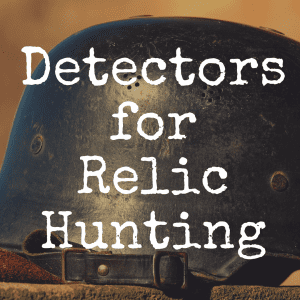 It might be a little expensive for someone who isn’t sure that metal detecting is for them, but experienced hunters enjoy using this detector. If you’re ever talking to experienced hunters about Garrett metal detectors, the Garrett AT Pro is sure to come up in the discussion. Many believe the fact that the AT Pro is waterproof makes it the better choice for anyone who wants a new metal detector. It can be taken in deeper water and you won’t have to worry about it if a sudden rain shower pops up while you are out hunting, either. The 350, by contrast, cannot get very wet at all. Of course, to get this submersible detector, you will have to pay a lot more. It has a cost of around $600 and many people simply don’t want to pay that much for a detector. A pair of headphones comes with this machine, but they are not waterproof, so be careful if you choose not to purchase a waterproof set. The AT Pro is great for use in fresh and salt water. It has the ground balancing ability to adjust to the highly mineralized soil on beaches. It also has both standard and professional search modes. 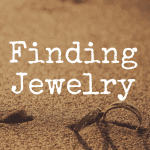 All of this makes it a great detector for finding coins, gold, jewelry and relics. You will be able to use this detector in any situation to find exactly what you want. One big problem with the AT Pro is that it seems to not work well if you want to use rechargeable batteries. It can get very expensive if you have to keep buying batteries for your detector. The Garrett Ace 150 costs about $180 and is a good detector for anyone just starting out. It is very easy to learn to use and this makes it a great detector for children that are interested in treasure hunting. It is also a very sturdy machine. It has excellent depth ability and is accurate with a five segment target ID. The Ace 150 has three distinct discrimination patterns and touch button controls. It has a large LCD display that is simple to understand and it also has audio ID so you don’t have to keep your eyes on the display at all times. It is very lightweight and the detector is adjustable for the perfect fit for anyone. It is truly a turn on and go machine that you will be able to use to find coins, jewelry and relics. A DVD comes with the metal detector so if you do have any questions, you will be able to find the answers you need. 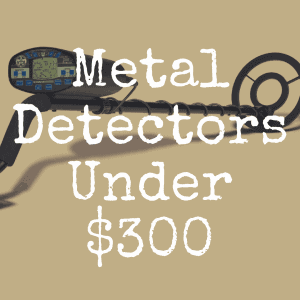 All of these features make it one of the best affordable metal detectors you can find. It weighs less than three pounds and the stem is adjustable so you can be sure it will be comfortable for you to use. The preset ground balance means you won’t have to stop to adjust your detector whenever you move to a different type of soil, either. There have been complaints that the electronic pinpoint feature isn’t as accurate as people want it to be. The price is a concern for newbies, too, but the machine is one that you can grow with. By this, we mean that some beginner models don’t have all the features you may want as you learn the hobby. This metal detector has everything you could want (except being submersible) for a very good price. Garrett offers many wonderful metal detectors, but that doesn’t mean it’s a company without any semblance of competition. 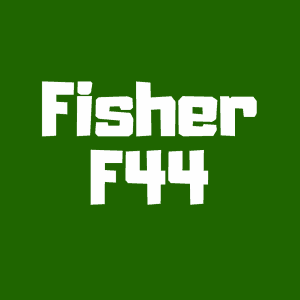 The Fisher F2, for example, is one machine that can give the Ace 250 a little run for its money. 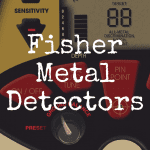 Fisher detectors are great metal detectors, too, but Garrett products are certainly well liked and appreciated due to their brand name, feature set, and variety of prices ranging from affordable to the more high end. 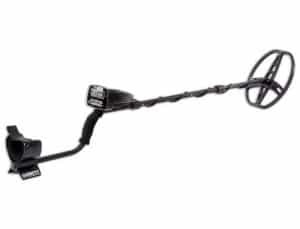 The Ace 250 is one of the highest rated, top selling metal detectors from Garrett. While there are a few concerns on forums about different aspects of this machine, a larger percentage of the MDing community loves the detector and believes it is a quality purchase. The fact that the company stands behind their products is also a huge pull for anyone considering the purchase of a detector. If you found this article helpful, please join our brand new Discover Detecting Facebook page! 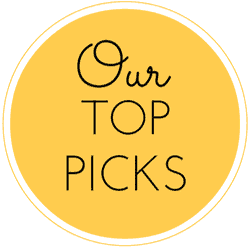 And be sure to bookmark our homepage to receive up to date metal detecting articles and reviews. What’s the Best Pulse Induction Metal Detector? 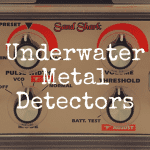 What’s the Best Underwater Metal Detector?